You are here: Home / DIY & Crafts / What Do You Do With A Tart Pan & A Record? What Do You Do With A Tart Pan & A Record? 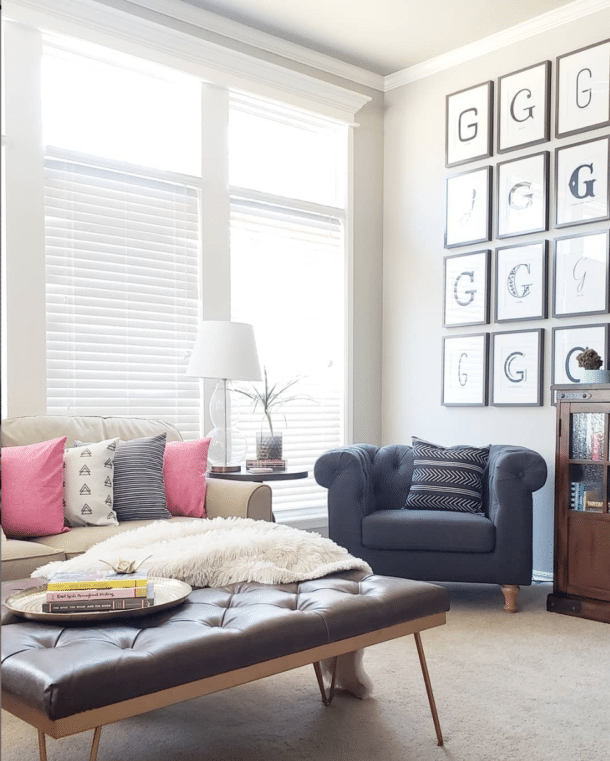 Last month, Rust-Oleum challenged me to take $10 to the thrift store and find an item to makeover into something new. 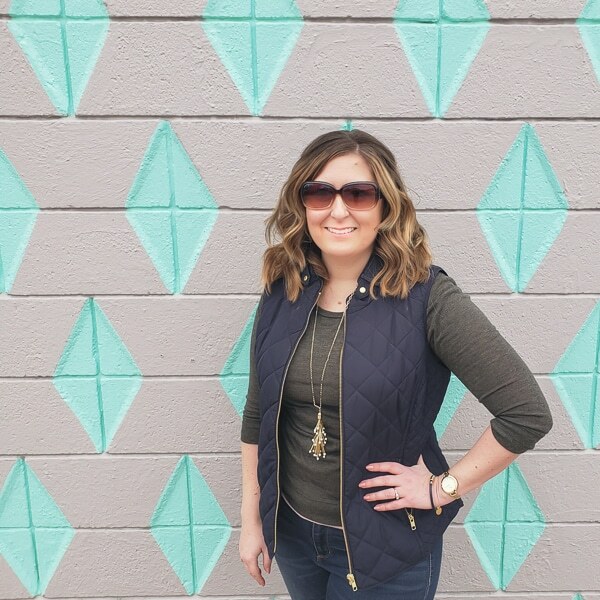 Five other bloggers received the same challenge, and all our projects are being uploaded to Rust-Oleum’s Creator’s Studio today so people can vote on them. AND the winning project will be shipped off to one of the voters. I thought that was a great twist on their part and it made us execute the project at a higher level knowing it could get mailed off and wasn’t just for us. That kind of challenge was right up my alley! Yep, I uploaded the right picture. 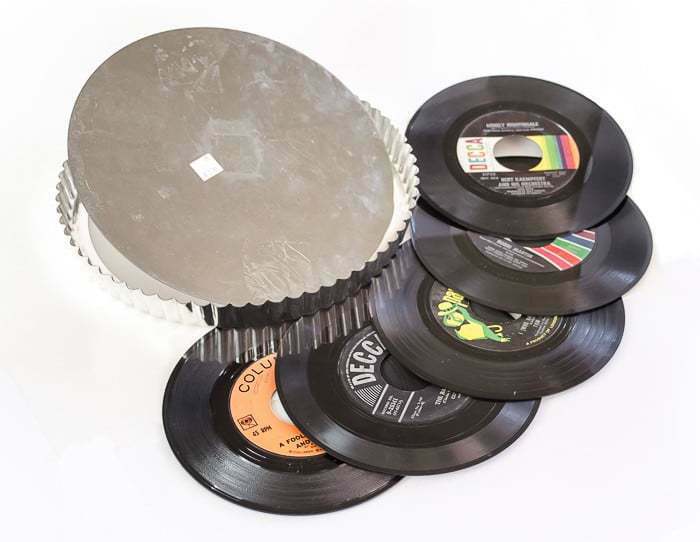 Of all the furniture and other easier to update items, I came home with a random tart pan and some old 45’s. What can I say, I love a challenge! 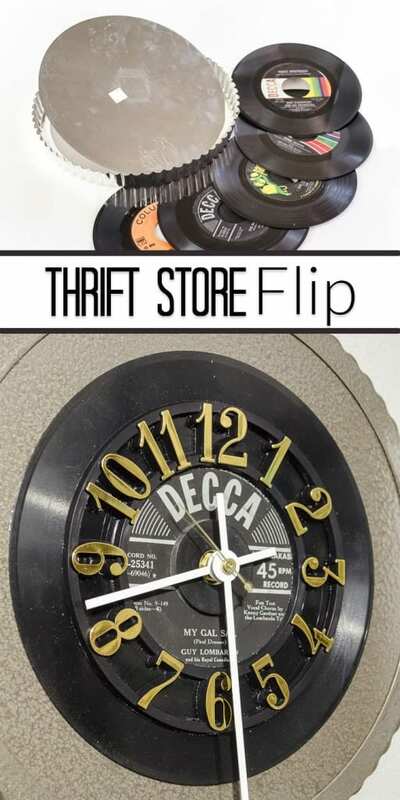 I wanted to do a total repurpose of something old into something new, so I decided to turn my seemingly random items into a retro-chic clock. I’ve never made a clock before, but I can say now that this won’t be the last. The parts are surprisingly affordable and not as intimidating as I expected when we followed the simple directions on the package. 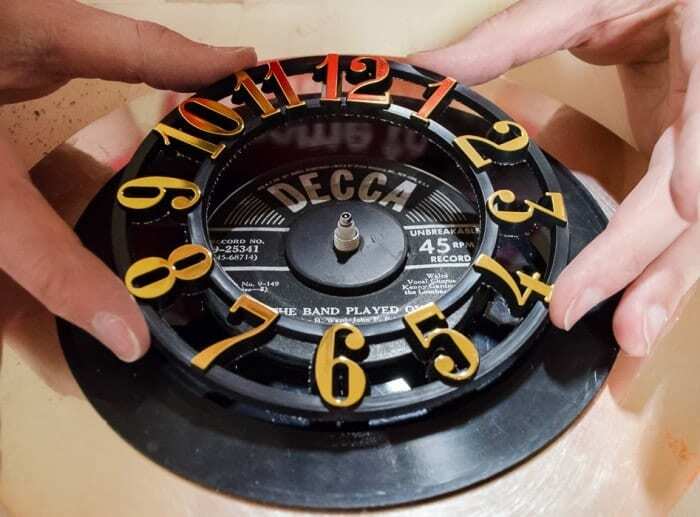 A little paint and some clock parts from Hobby Lobby was all it took to totally transform the seemingly random items into a unique clock! Thank you Sandra! Sadly, I didn’t win. BUT, one of my friends did and her project was awesome, so that was a good consultation!